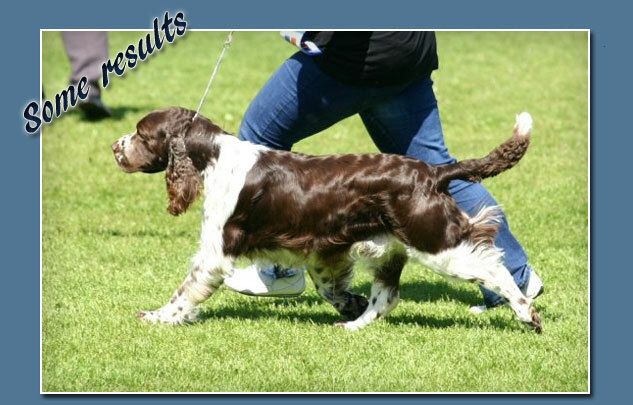 Finished his Obedience Champion title only at the age of 1 year 10 months! Competed in the highest class. Open Class 2nd price, 82 points, the best result of that test. 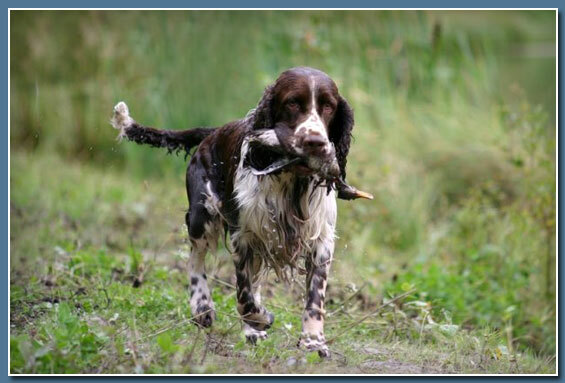 Passed spaniel hunting ability test at the first attempt. 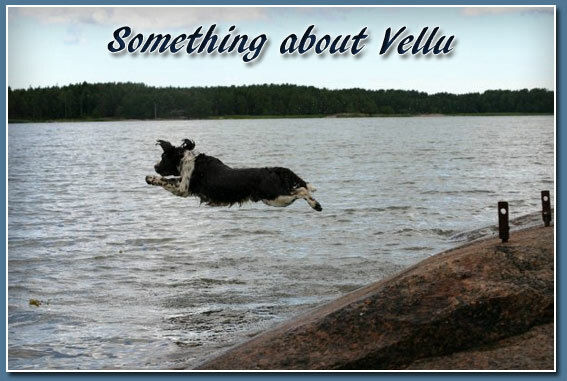 At his younger years Vellu was a very active sporting dog, attending to many kinds of hobbies! He has been (and still is) a very eager dog with loats of energy. 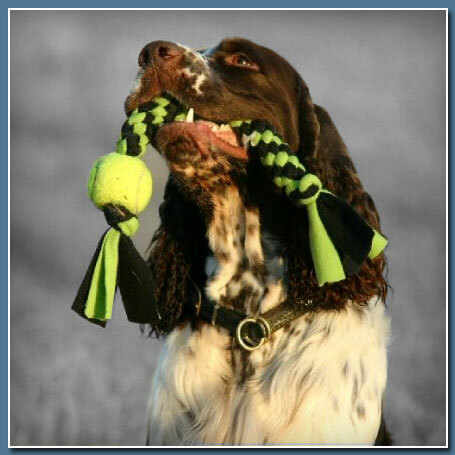 He is easy to motivate with toys and food, he loves to work with me and does everything I ask without any questioning. 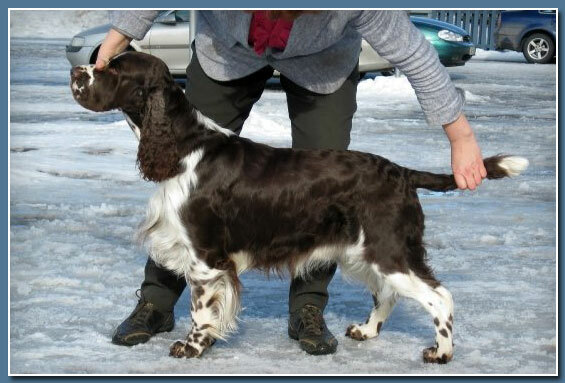 He has received nice results from shows of course, but our main hobby has been obedience. Vellu started training when I got him at 7 weeks of age and attended to his first competition when he was only 10 months. 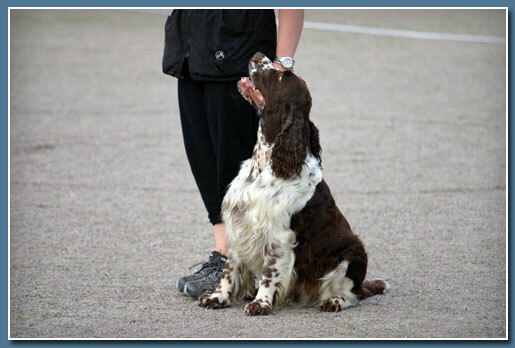 One year later he became Finnish Obedience champion and soon after that he achieved also Estonian Obedience Champion title! 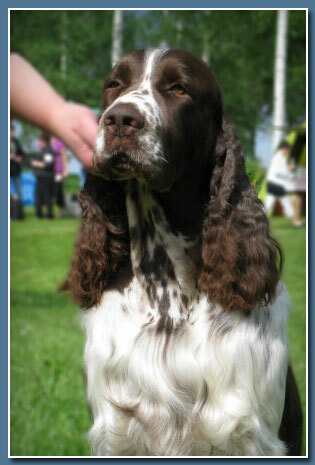 He has been awarded as a Top Obedience dog of the Finnish Springer Spaniel club and Finnish Spaniel Association for many years when he competed actively. 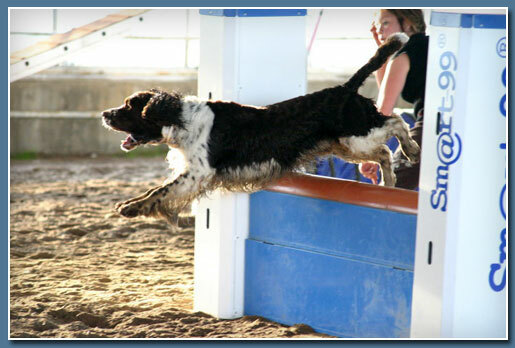 We have competed also in agility. Vellu finished his career to the highest class, he did there many nice clear rounds and loved that hobby as much as everything else. 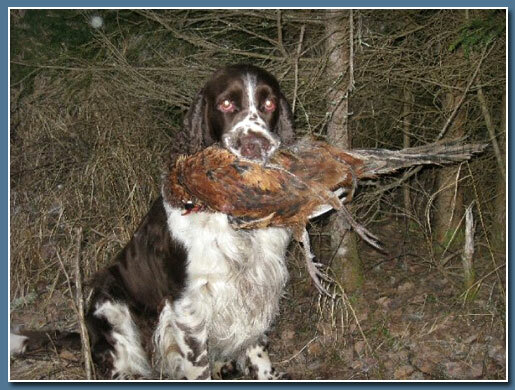 Besides, he has also taken part to some hunting test, receiving nice results from there as well. He has no problems in retrieving birds, he searches them eagerly in the forest, but at the same time he listenes to my commands.  Nowadays he is retired from all the hobbies and spends his days as a loved pet. At home he is a very nice companion, follows me everywhere, sleeps and relaxes most of the time. He does not care about other dogs or other people, he is my boy and if I am not around, he is lying at the door waiting for me. it is not even worth trying to fill his boots when the day comes!